Here you can find information on how I save money and how you can, too. Who doesn’t like to save? I hope everyone enjoyed their Thanksgiving, I’m still stuffed! Lol. Since today is Black Friday and Cyber Monday is upon us, I thought this post would be appropriate. I am a HUGE online shopper. While I love shopping, I do not like shopping in stores. I don’t like crowds or hustle and bustle so as you can imagine I enjoy sales from the comfort of my home. One website I love for online shopping is Ebates.com because I earn money for purchases I would have made anyway so it’s the best of both worlds. What Is Ebates.com? Ebates pays members cash back every time they shop online as well as provides them with the best coupons and deals online. 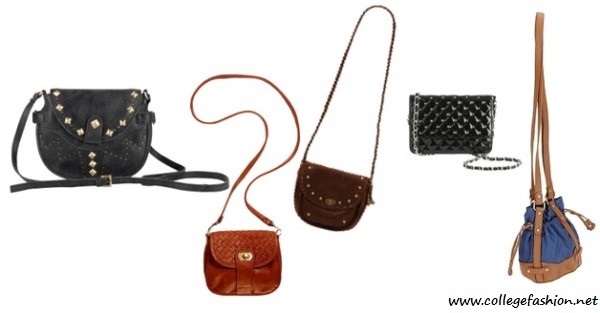 It was founded in 1998 and Ebates has paid over $85,000,000 in cash to its members. Over 12 million people have joined Ebates. Who Can Use Ebates.com? Anyone shopping online can visit retailers directly through Ebates.com to shop and receive cash back. Where Can You Earn Ebates.com Cash Back? Through any of the Ebates.com 1,200 online stores. When Ebates.com Can Be Used? Whenever you shop online. Why Use Ebates.com? I have been using Ebates.com since 2009 and received multiple payments from the site. I prefer to shop online whenever possible because I like the convenience and there are way more specials online. With Ebates not only is it convenient but it’s economical. Sign up for Ebates.com by clicking HERE. Visit Ebates.com every time you want to shop online. Browse the 1,200+ online retailers and select the one(s) you want to purchase from. Wait 24-48 hours after your purchase and you will get a notice stating the purchase date, purchase total and cash back total. BONUS – Ebates Referral Program: Until 12/31/12 you will receive $25 for your 1st referral and $5 for each additional referral. Have questions? Watch this easy to follow video and informational about Ebates.com. Have you used Ebates.com? Do you use any other money-saving sites? Please share below. Want White Teeth for $1? I recently watched a YouTube video on how to whiten teeth with something soooo obvious…PEROXIDE! There are so many toothpastes on the market with peroxide in them that it’s a no-brainer. Peroxide is normally used to sterilize wounds but it is good for teeth whitening because the chemicals in it kill teeth staining bacteria. Surprisingly it’s also good for preventing sore throats (because it kills bacteria). Before I brush in the morning and evening I rinse with peroxide. I have been doing this for about two weeks and I already see a difference. I’ve used a few other “commercial” whitening systems but this is the easiest, quickest, and cheapest one and it’s just as effective. Peroxide is now part of my beauty regimen. The only con is if you have sensitive gums it might be too harsh so if you use it and it burns you should probably discontinue use. Directions: Pour about 2 tablespoons of the antiseptic into your mouth, and swish it around for 1 minute. The solution will begin to foam; this is how you know it is working. 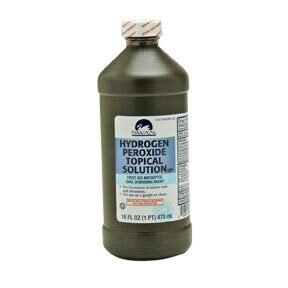 The hydrogen peroxide combined with oral bacteria cause bubbles to form in your mouth. Spit it out and brush your teeth as normal. 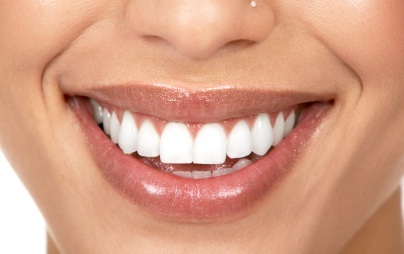 You should avoid coffee, red wine, smoking, teas and anything else that may stain teeth to see the best results. Have you tried this before? Would you? Let me know below. One month ago today I celebrated my birthday. 😀 I received some great discounts and freebies from several stores. How? Register any gift card and become a Gold Card Holder through Starbucks’ free rewards program. Dunkin Donuts: Free Medium Drink Coupon. How? Must be an email subscriber. Victoria’s Secret: $10 Off Coupon, no minimum purchase. How? Must be a VS Credit Card Holder. Sephora: Free Product, varies. I received a Fresh Sugar Kisses Mini Lip Duo. It’s automatically linked to your card. Go into any Sephora the week before or after your birthday, present your card to any cashier and they will give you your free treat in a cute little Sephora bag. How? Sign up to be a Sephora Beauty Insider through Sephora’s free rewards program. Anthropologie: 15% off any purchase during your birthday month. How? Must be a member of Anthropologie’s free rewards program, sign up in any Anthropoligie store. Michael’s: 20% off any purchase during your birthday month. How? Must be a member of Michael’s free Rewards Program, you can register when you check out at any Michael’s store. A few days after my birthday I also received an invitation to join the CVS Beauty Club which has some great incentives including coupons and ways to earn Extra Bucks. Sign up here! I took advantage of most of my rewards and it was great! I received other coupons via email, too. *Tip: If you have a favorite store or one that you shop at frequently, the next time you’re there ask them if they have a rewards program! Do you take advantage of retail birthday freebies? If so, please share below. Last year when I started running I took a more active stance on my overall health. I decided that if I was going to run and focus on my physical health, I should also be conscious about what I put into my body. While I didn’t cut out anything completely or take any drastic measures like becoming a pescetarian (again), I did decide that I will make better food choices. That said, I found Subway. I started eating there more often and put a complete stop to eating McDonald’s, Wendy’s, Burger King, etc. I realized that if I had to eat “fast food,” I should choose the best option possible, Subway. 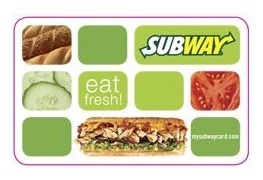 Not only is Subway a healthier option, but eating at Subway also comes with a few perks if you have their SUBWAY® Card. Every time you eat at Subway, ask the cashier to swipe your card and one point for every dollar you spend is added to your points balance. I’ve had my card for a while and I always have it swiped but I never knew what the points entitled me to. Last week I found out that I can redeem my points for FREE menu items, meaning FREE FOOD. To date I have 169 points! I plan on buying a few 6″ subs or salads with my points. That’s free lunch for almost the entire week! Find out more about the SUBWAY® Card here. Do you eat at Subway? If so, do you have a SUBWAY® Card? If not, make sure you get one the next time you’re there! 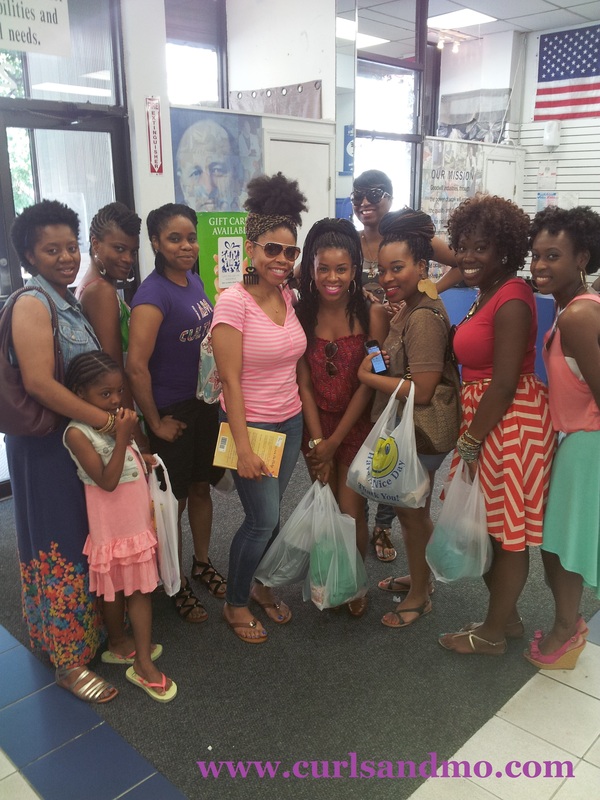 Back in June while visiting Charleston, SC for the Natural Hair Expo and enjoying family, I visited three local thrift shops. Since I didn’t have much time, I decided to focus on accessories, books and home décor at each store. I found a set of 4 candle holders, each with a different saying: hope, peace, faith, love. At 99 cents each I wanted all 4 but since I had limited luggage space I could only choose one; I chose “faith”. I also bought 2 books. One about prayer for a close family friend who has become my spiritual leader and the other about daily meditation for myself. Each book was 65 cents. I also found a brown woven leather belt for $2.99. And, last but most amazing, a pair of denim gauchos for NINETY NINE CENTS! I immediately tried them on over my capri pants and was amazed that they fit perfectly. I immediately started styling them in my head and thinking about how I could wear with them this summer and transition them into fall with boots and sweaters. The setup was the same as the one in NY, tons of bins filled with random items that customers had to rummage through. Here my focus wasn’t on clothes though; I headed straight to the electronics section and scored a $4 radio for my uncle’s office. He wasn’t even fazed that it was a bright yellow SpongeBob Square Pants radio – LOL. He actually thought it was hysterical as did the cashier who stated “you’re going to make some child very happy” as I paid…before we told her the truth. I spent about 15 minutes in each store but was still able to snag a few great things; I can only imagine what other great items I would have found if I had more time. After having a chance to hit all three, I think the Salvation Army was my favorite. It was more organized than the Goodwill Outlet and the prices were more reasonable than at the Goodwill. I’ll definitely be checking out a Salvation Army or two in NY. For Thrifting Tips, please see “THEE Goodwill Outlet”. If you haven’t thrifted yet, what are you waiting for? Please share your tips or great finds below.